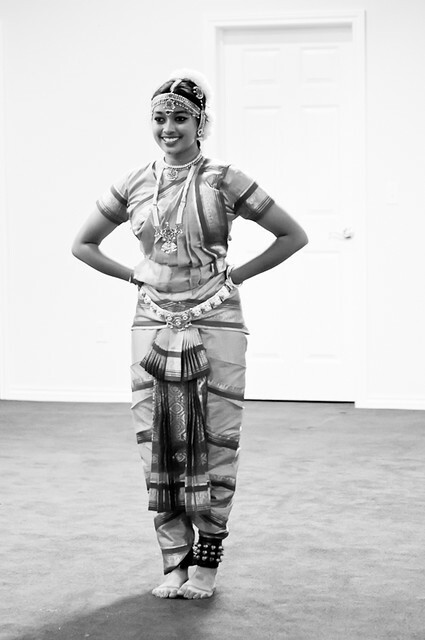 I regret never having learned any classical Indian dance form. I did learn ballet for a year in 6th Standard in primary school but I think the teacher begged for a reprieve the following year. 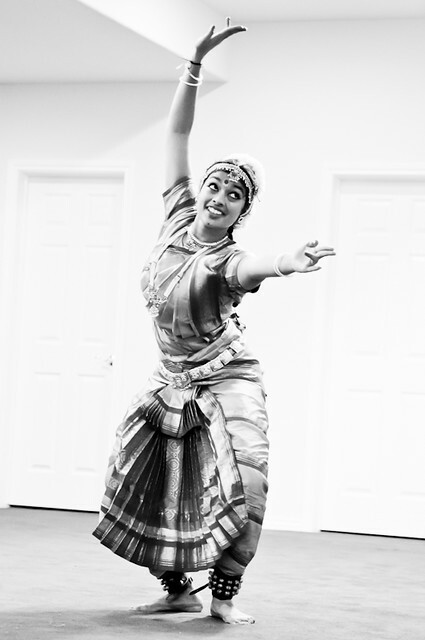 Do you have any training in classical dance? Beautiful! Love the captures and her stances. I am a trained Kathak dancer and am glad I did..dance is a therapy for me at this age. Gorgeous pictures. Her posture and expressions are beautiful. My heart skipped a beat. I learned kathak for many many years, probably from the time I was 6 or 7 to the time I was nearly 18. Let's just say I had more enthusiasm than talent. But I did pass many formal Kathak exams. Still love dance (all kinds, from Indian classical to ballet and tap to hip hop) with all my heart. 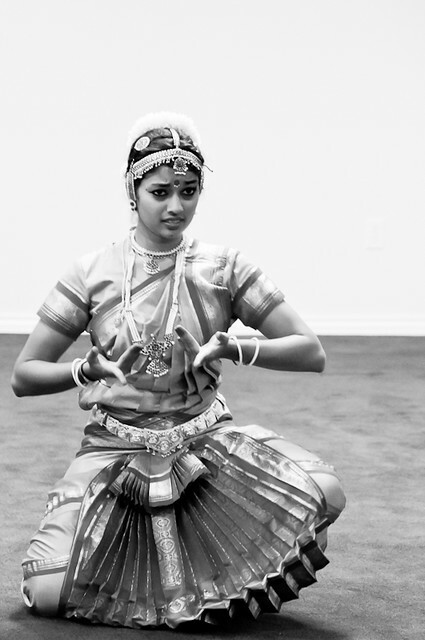 I never learned dance but love Bharatnatyam and Odissi amongst the classical Indian dance forms. I so wish BS or LS would take it up but looks like no hope there. They want to learn jazz or hip-hop they say. A six-month Kathak class for BS had ended in a disaster and we have not gone back since. Your friend's daughter is so graceful and her expressions are beautiful. Beautifully captured expressions.. Not learning Dance remains one of my life's regrets.. Each time I made an attempt to do so, I'd end up moving out of town.. Sadly (or maybe, as well! 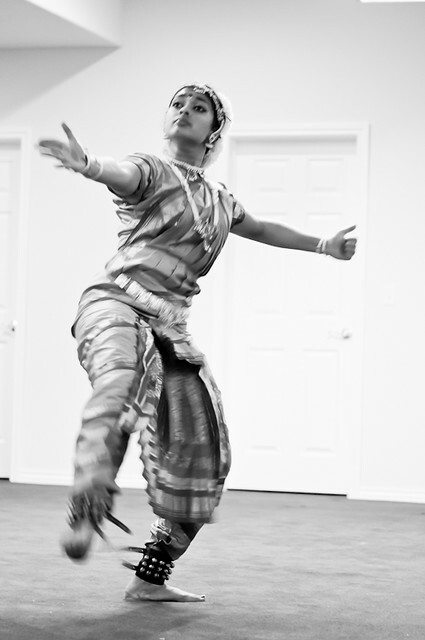 ), I never learned dance beyond a few rudimentary classes in Kathak. The black and white format has added drama to the pictures. Congratulations to the young dancer on achieving an important milestone! Isingcakes, thank you! And, you are indeed very lucky! It might interest you to know that the last pic is from a piece that was set to Geet Ramayan's Swayamwvar Jhale Siteche. Prema, thank you! That is high praise from a classically trained dancer! She will do her arangetram next year. Nupur, she is very talented! You are full of surprises! One of my fave Kathak dancers was the famed Birju Maharaj. His feet just flew! BM, I hear you! I tried but she was never interested. In a way, that worked very well for me because an instructor was always at least a 45 minute drive away! Anita, b&w worked best for these pics as there was flourescent as well as incandescent light. Did I mention that I want to learn belly-dancing? There are classes in Boulder. It's a great abs toner! Believe it or not, I spent a year studying Bharat Natyam while in university after two years of West African dance. I was hopeless trying to put it together but what I seemed to get out of university the most was an appreciation of different modes of thinking and expression. Not quite vocational but certainly valuable. dear Manisha, thanks , as usual , for the great photos.and congrats to a dedicated 15 year old ! to answer your posed question , yes, i can dance with the " classical " 2 left feet ! it is a talent shared with a number of men ! i am currently touring independently in Alaska with my wife . this is the first time we have ever been in America . we have just arrived in Sitka , on Baronoff Island , by ferry from Juneau . Sitka was the Russian capital of Russian Alaska , so my food interests will be switching from " Indian Food Rocks " , to ' Russian Food Rumbles ', for a week ! regards , Manisha , john kelly ,( Tasmania . I have been a fan of Kathak since 1956, when i was in school. I am a Delhiwala. This young lady looks to be a very promising talent. God bless her with success inher art. Thank you, everyone! From me and my friends who are loving all your comments and words of encouragement for their daughter. Julia, wow, that's quite an accomplishment! Did they teach you Indian mythology or folk lore as part of the course? I was able to understand part of her dance because I am familiar with the stories. Your takeaway is indeed valuable! John, I am honored that you found time in your Alaska tour to read my blog! I hope you and your wife are having a fabulous time! I hope the Russian food was up to snuff! Thank you for your encouragement and words of kindness to my friend's daughter! Mary, thank you so much! I am honored! Capt, your words mean a lot to this young dancer and her parents, thank you! The costume is necessary, btw, for belly dancing. As it is for Bharatnatyam!